We all love clean carpets. What better feeling in life is there than the feeling of walking on beautiful, clean carpets? But we also need to prolong our professional carpet cleaning in order to get the most value out of the service. To do this, we can treat our carpets and clean it ourselves for a while before calling in the professionals. So we’ve compiled a few handy DIY carpet cleaning tips you can try before calling in the professionals. This way, you can get more value from your professional carpet clean. You also get to keep your carpets cleaner for longer. 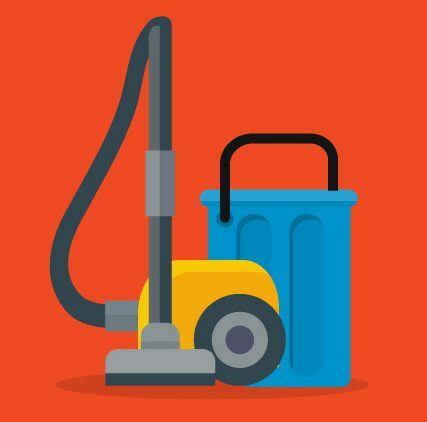 If your vacuum is set too low, it may damage the carpet’s fibres as well as the vacuum cleaner’s driver belt and roller brush, Too high, it won’t pick up any dirt. Get it just right to maximise your cleaning endeavours. Use walk-off matts inside and outside to keep dirt off carpeting. You’d be surprised how much dirt those coarse-textured mats can remove from your home. Dab stains with a cleaning solution and a fresh, clean cloth or paper towel. 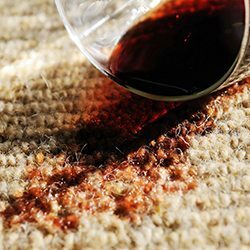 Blotting puts a small amount of pressure on the stain to soak it up, while rubbing presses the stain into the carpet’s fibres. For problems like gum, freeze dry it. If you stepped into gum and didn’t realise it until stepping on your carpet, grab an ice cube out the fridge and freeze the gum for 30 seconds. Once frozen, use a spoon to lift the glob up the carpet. Steam cleaning your carpet is essential to keeping it looking good as new. At FKS Flooring Solutions, we help you keep your carpets clean and fresh for longer. Contact us to learn more about our services, and for all the advice needed to maximise your beautiful carpeting’s professional cleaning.